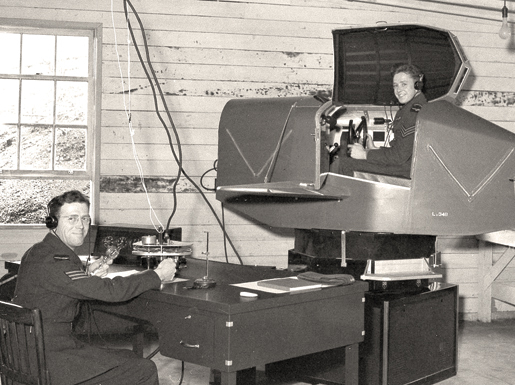 The Link Trainer early flight simulator. There are many similarities between medicine and aviation. Both require high skill levels with months to years of training. Both involve critical and high-pressured environments where people’s lives are at stake. Both can incur high costs using training equipment. However, unlike aviation, medical decisions involve more complicated thinking processes and are often made by a team instead of one or two individuals. Medical errors lead to as many as 400,000 deathsin the US each year, ranking as the third cause of deaths in this country behind cardiovascular disease and cancer. In stark contrast, commercial airline accidents on US soil claimed zero lives in 2017. Causes of medical errors include undertrained or incompetent staff, unfamiliarity with new technology and techniques, overworking, lack of communication, and human errors. Medical simulations can reduce medical errors by training staff to become more comfortable in situations requiring new skill sets and technology, improving the communications among the staff, and reducing possible future errors through debriefing. In the early 1960’s Asmund Laerdal, Norwegian plastic toy manufacturer, invented the first modern medical mannequin. The plastic mannequin, named Resusci-Anne, was designed to teach mouth-to-mouth ventilation simulation. Laerdal later added an internal spring to Resusci-Anne’s chest wall, leading to the first CPR mannequin widely used by emergency personnel and general public. In 1968, Dr. Michael Gordon demonstrated another mannequin named Harvey at the American Heart Association Scientific Sessions. Harvey simulated 27 different heart diseases through signs such as blood pressures, heart sounds and murmurs, pulses, and breathings. Astudyshowed students trained with both Harvey and real patients performed better than those who interacted with real patients only. Today, dozens of types of medical mannequins exist. Many hospitals and graduate programs have multi-million dollar simulation labs training medical personnel with these mannequins. Perhaps as equally important as the mannequin evolution is the software development in medical simulation. Stanford Medical School invented the first medical simulation software for anesthesia in 1968. CASE 1.2 (Comprehensive Anesthesia Simulation Environment) was a Macintosh computer connected to a mannequin and a waveform generator that could create vital signs of patients in critical conditions under anesthesia. The idea of using computer software to simulate virtual patients emerged in the 1970’s. They became widely used in medical education in early 2000’s. A 2007 studyshows that about one fourth of the US medical schools use virtual patients in their curriculum. Today, most software programs allow interactions between learners and virtual patients online. Students can take history and vital signs, order tests, diagnose diseases, and sometimes provide managements for virtual patients. Feedback is provided as the case progresses or at its conclusion. To understand how medical simulation helps learners, one must first understand different parts of a simulation. One can divide a simulation session into three parts: preparation, conduction, and debriefing. Preparation includes briefing and introducing students to available resources during the simulation. Conduction involves directing the simulation session, generating possible scenarios, modifying variables, and deciding outcomes. Debriefing is probably the most important part of a simulation. It is a guided reflection led by instructors where students assess their actions, decisions, and communications during conduction. Debriefing is when most of the learnings occur. A 2014 studyshowed that personnel trained in CPR resuscitation simulation produced better neurological and survival outcomes with debriefing than those without debriefing. Andragogy, or adult learning theory, outlines the best practices and principles that can optimize adult education. It is important to understand andragogy to design curriculums for adults. Malcolm Knowles, a pioneer in andragogy, developed 6 assumptions for adult learning: 1) self-concept: learning is self-directed; 2) foundation: experience and mistakes from learning; 3) readiness: learning is most effective when it is relevant to work or daily life; 4) orientation: learning is problem-based instead of knowledge-based; 5) motivation: the drive to learn is internal not external; and 6) need to know: reason for learning. Simulation based medical education (SBME) encompasses all assumptions for adult learning theory. The ability to generate different scenarios in a simulation is in concert with self-direction (self-concept). The experience during conduction is discussed and evaluated during debriefing (foundation). A simulation can be tailored to learner’s work (readiness). SBME points out when and how a skill can be useful in a problem (orientation). Being asked to direct a case or perform a procedure increase the internal drive of the students (motivation). Finally, debriefing gives learners the justification of why certain skills or decisions are important (need to know). Medical simulation also helps build both individual and systemic resilience. Resilience is the ability to function despite changes and crises within an environment. In healthcare, resilience can exist both at an individual level, such as a paramedic or a physician, or at a systemic level, such as an ambulance crew or a trauma team. SBME increases self-awareness of individuals by giving them feedback, better understanding their strengths and weaknesses. SBME-style training promotes teamwork and communication, which is important in dealing with crisis. Other areas SBME improves include risk recognition, situational awareness, self-organization, and response to threats. SBME gives participants experience in managing a patient in crisis before they encounter one in real life. Medical simulation has come a long way from traditional mannequins to virtual patient software programs. As the Link Trainers and other flight simulators have done for aviation, inventions of mannequins and software provided medical trainees with opportunities for hands-on experience and practicing decision making skills. A simulation is a great learning tool that gives providers the motivation and constant feedback for improvements. SBME provides first responders with experience and resilience in critical situations that traditional classroom settings cannot. While medicine is a long way from causing zero death as aviation does in the US each year, SBME helps us come closer to that goal. With new hardware technology and software, augmented realityhas become a new model for SBME. Simulation cases can be loaded onto a HoloLens and virtual patients can be superimposed onto a stretcher or a bed anywhere. No longer is medical simulation confined to classroom, simulation labs, or desktop computer screens. SBME can now be done from the back of ambulance to the sidewalk of a street. Smaller organizations will have greater access to high fidelity simulations due to increased affordability and the ability to transpose a high-fidelity experience onto inexpensive basic mannequin torso’s. Augmented reality simulated patients can mimic physical symptoms that mannequins cannot for a fraction of the cost. No longer will instructors need to carry multiple cases of mannequins and equipment to different training centers. All they need is one case of HoloLens that will create different types of virtual patients from adults to infants. We may one day look back at this moment and see how augmented reality changed simulation based medical training like the Link Trainer did with aviation. Visit MedCognition to learn more about the future of augmented reality medical simulation. Newer PostClinical Tool Identifies A Pregnant Patient In Danger: Is It Helpful For EMS?